Fun fact: writing intro's to posts is hard. I initially typed "fashion is one of my biggest interests" as the first sentence to this post, but 1) that's probably one of the most uninspired and underwhelming sentences ever written, and 2) what girl doesn't have some sort of interest in fashion? Could I be playing into my gender stereotype any harder? Regardless, the fact still stands: I like fashion. There, I said it. I've read every issue of InStyle since middle school and I gawk at ladies on the subway who are killing it in the personal style department. 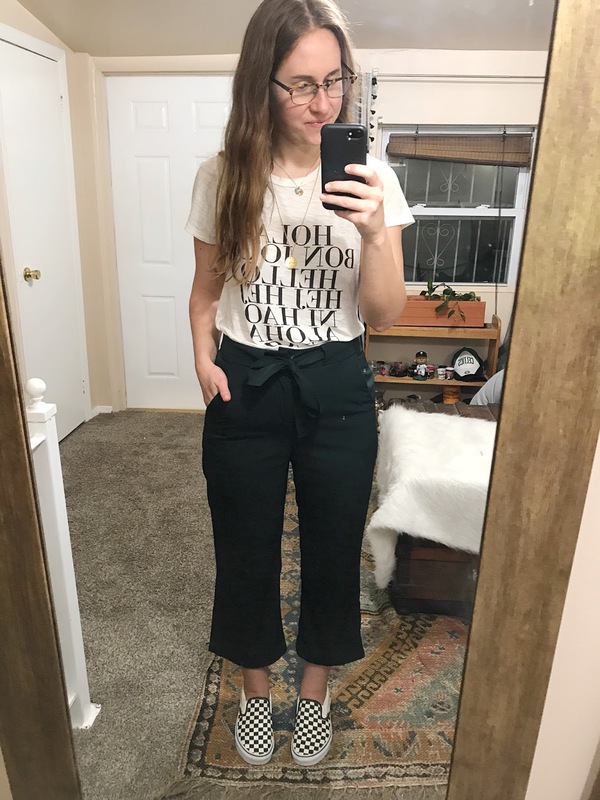 Fashion is what drew me to blogs in the first place and I frequently scour Pinterest for new trends and styles that are emerging. Now, I'm not loaded and I don't have a sugar daddy whipping out a credit card every time I see a something pretty. 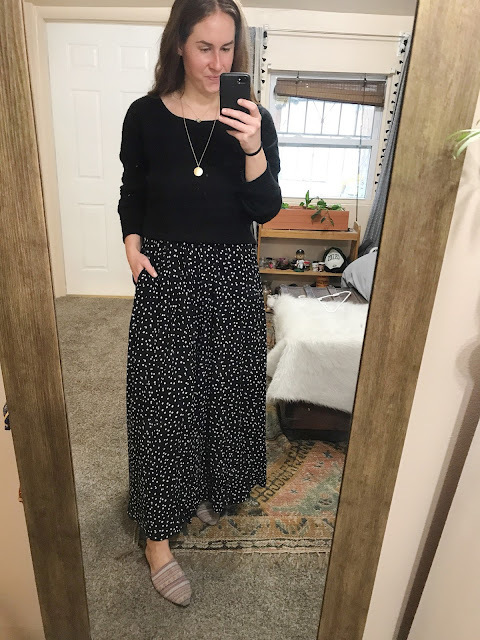 I have minimal disposable income and I like to think that half the fun of shopping for me is finding the look for less, especially since bloggers are usually linking to designer duds and I'm still the poster child for Old Navy. 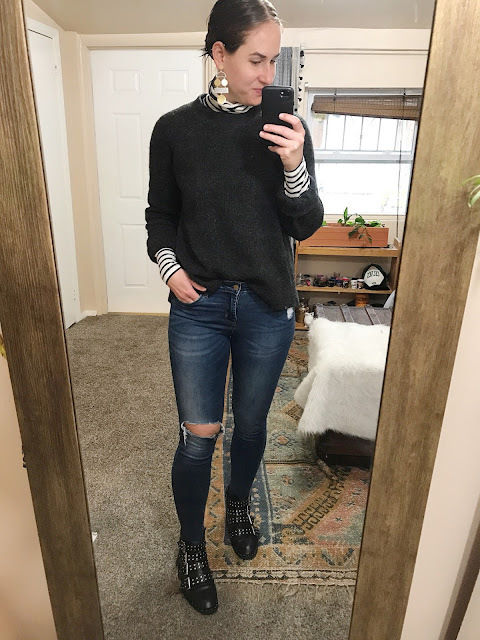 So I thought it'd be interesting to give you a peak at what I wear on the regular. I warn you, its not very flashy. 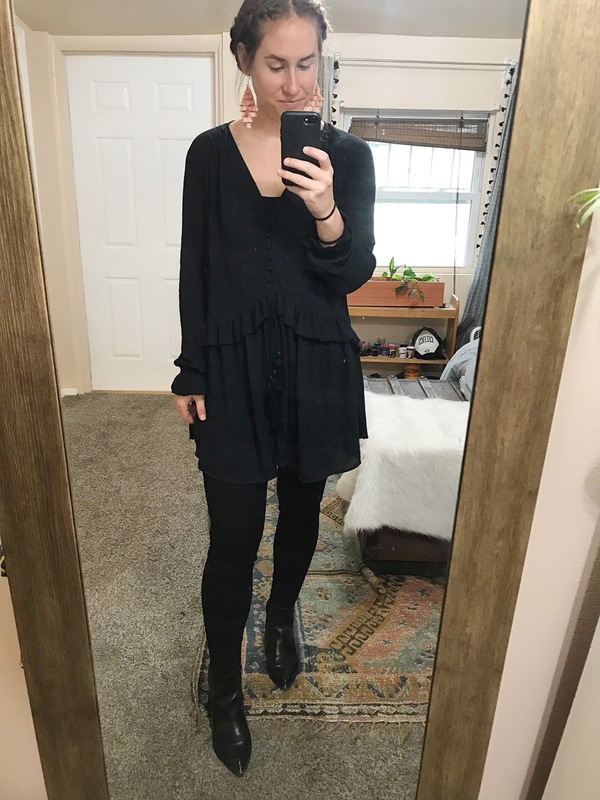 Black is my favorite color and I tend to wear the same warm sweater at least once a week for the entirety of winter. I will preface this series by alerting you that I do work in an office where jeans are the norm, however I tend to wear heels and trousers more than most. Also, I typically have a mile walk to the train every morning, so the occasional shoe swap is necessary. 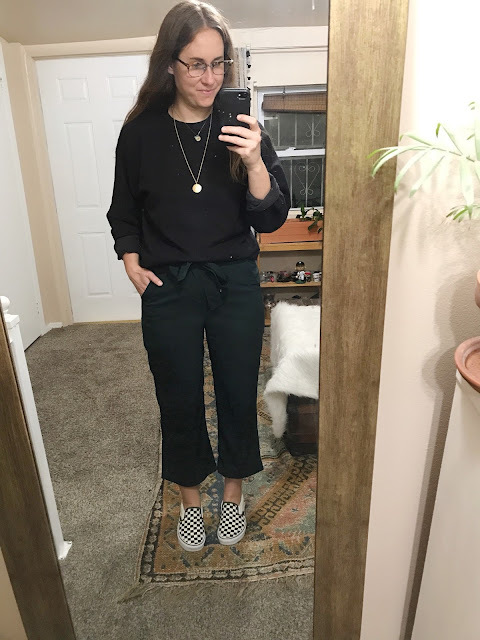 And to make this experiment more fun for me, I'm going to go ahead and try to assign costs to my outfit, since I'm always on the hunt for a good bargain. I even went through my email to try and find receipts of old items to confirm how much I paid. I'll link to exact items where I can, and include similar items at the conclusion of the post for your indulgence. My advice for figuring out life: you never will.